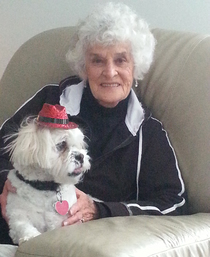 Mrs. Martha A. Hopkins, 88, of Richmond, passed away Tuesday, September 4 at Reid Health. She was born on September 9, 1929 to William and Lorrena Eales. She was a 1948 graduate of New Paris High School. She married Walter A. Hopkins on December 21, 1949. They were blessed with four children and 60 years of marriage before his death on January 2, 2010. Martha will be missed by her children, Steve & Carol Thomas Hopkins, Dennis & Linda Johnson Hopkins, Doug & Mary Lou Furnish Hopkins, Mary & Tom Weiss; eight grandchildren, nine great-grandchildren; brother, Donald Eales; and several nieces and nephews. Martha was preceded in death by her parents, husband, sisters, Jeanette Horrigan, Kate Bricker and Ruth Elliott; and brothers Paul Eales, Raymond Eales, Carl Eales, Bill Eales and Bob Eales. Mass of Christian Burial will be celebrated at 10:00 a.m. on Tuesday, September 11, in St. Andrew Catholic Church, 235 South 5th Street, Richmond. Interment will follow in Goshen Cemetery. Family and friends may gather for visitation from 4-7 p.m. on Monday, September 10, at the Smith-McQuiston & Webster Funeral Home, 321 US 27 South, Fountain City. Memorial contributions are encouraged for the Richmond Senior Center, 1600 South 2nd Street, Richmond, IN 47374.